First announced on 11 August 2016, the Woodlands Bus Package is one of fourteen bus packages to be released by the Land Transport Authority (LTA) as part of the transition to the Bus Contracting Model (BCM). Currently, SMRT Buses operates all bus services in this package under a Negotiated Contract (NC) model until Year 2023. This package comprises 22 existing bus services mainly originating from Woodlands Bus Interchange, with a handful originating at Woodlands St 82, Resorts World Sentosa and Marina Centre. The package includes Bus Service 950, a cross-border route. All bus operations would be based out of the existing Woodlands Bus Depot and nearby Woodlands Bus Park, both located within the Woodlands Industrial Park. Woodlands Bus Package contains 22 existing bus services, all of which are currently operated by SMRT Buses. Services 900/A, 925/# and 961/#, which ply alternative routes during selected hours, are considered as one service each. Services 903M, 912M and 913M are considered as supplementary services of their parent service and do not add to the overall service count. Short Trip Services are also not included in the above list. 2016 (11 Aug): Woodlands Bus Package mentioned as one of 11 Negotiated Contract (NC) Packages, and operated by SMRT Buses. 2018 (28 Oct): Bus Service 960e added to Woodlands Bus Package. 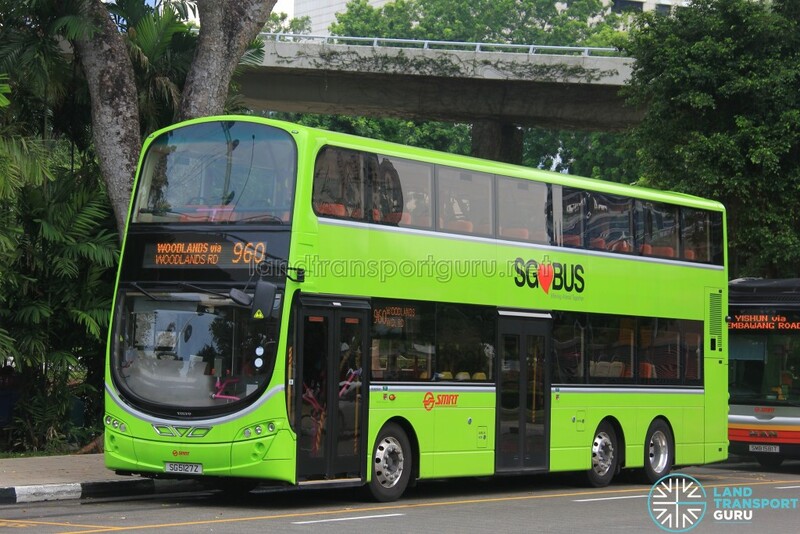 2019 (17 Mar): Bus Service 913M added to Woodlands Bus Package as a supplementary bus service.